New campaign ad emphasizes Netanyahu's relationship with US President Trump. "Netanyahu: A different league." 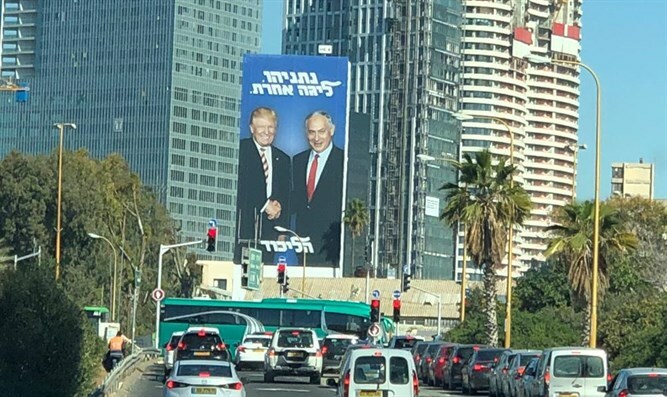 A new Likud campaign ad seen on Israeli streets emphasizes Netanyahu's relationship with Donald Trump. 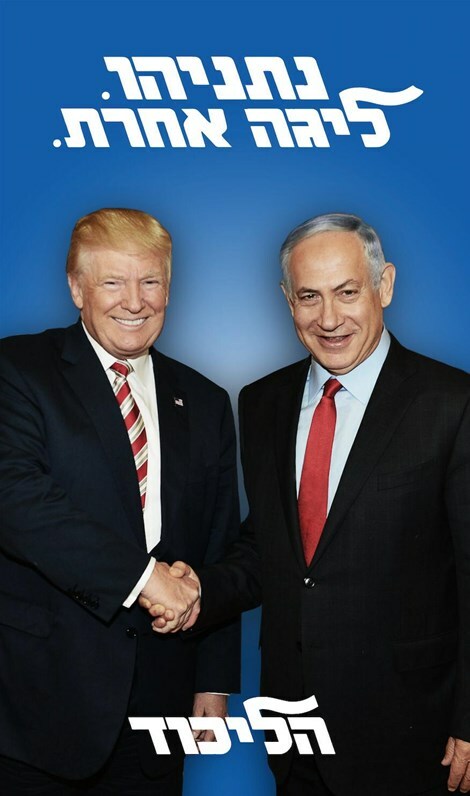 The ad show Trump and Netanyahu shaking hands under the caption, "Netanyahu: A different league." Even before Trump was president, a Likud activist produced a Trump endorsement video for Netanyahu prior to the 2013 Knesset election.